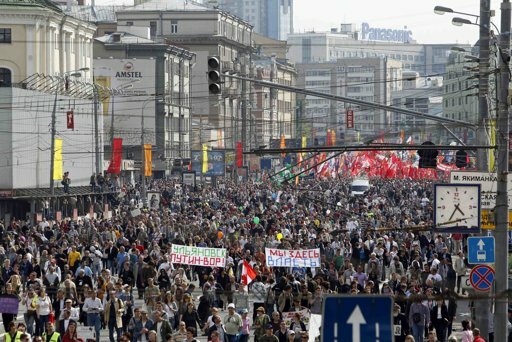 Vlad Putin's Spokesman: "We Should Smash Protesters' Livers On the Asphalt"
How dare they speak out against the tyrant. Russia’s media is buzzing after tough words from the presidential spokesman. Ponomarev wrote in his blog that he inquired Peskov about his other statement, made earlier on Dozhd TV channel, after the harsh dispersal of the March of Millions protest rally May 6, when Peskov said that the police acted too softly and he would like them to have acted more harshly, according to Grani.ru. According to Ponomarev, Peskov answered that his previous statement was too soft. A video released this week shows Russian police reportedly killing a protester with a blow to the neck. Then they dragged the body away.